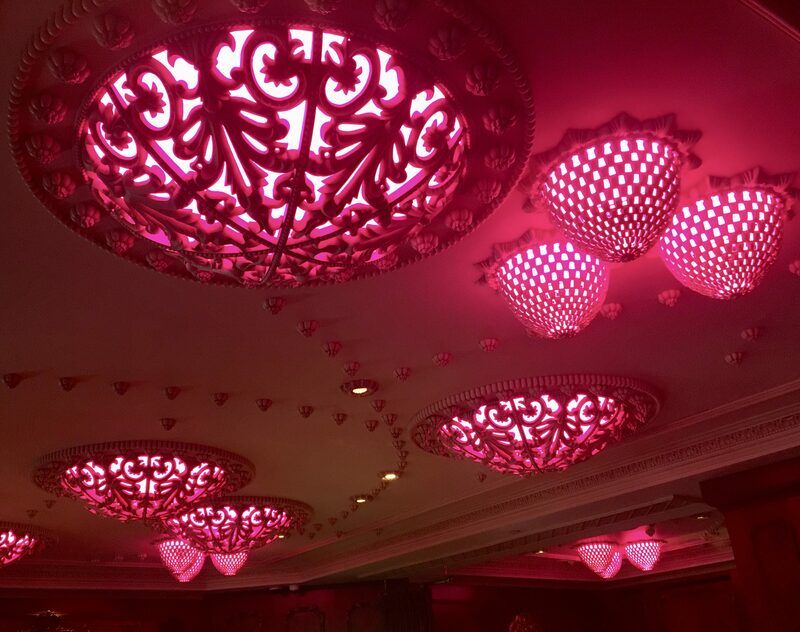 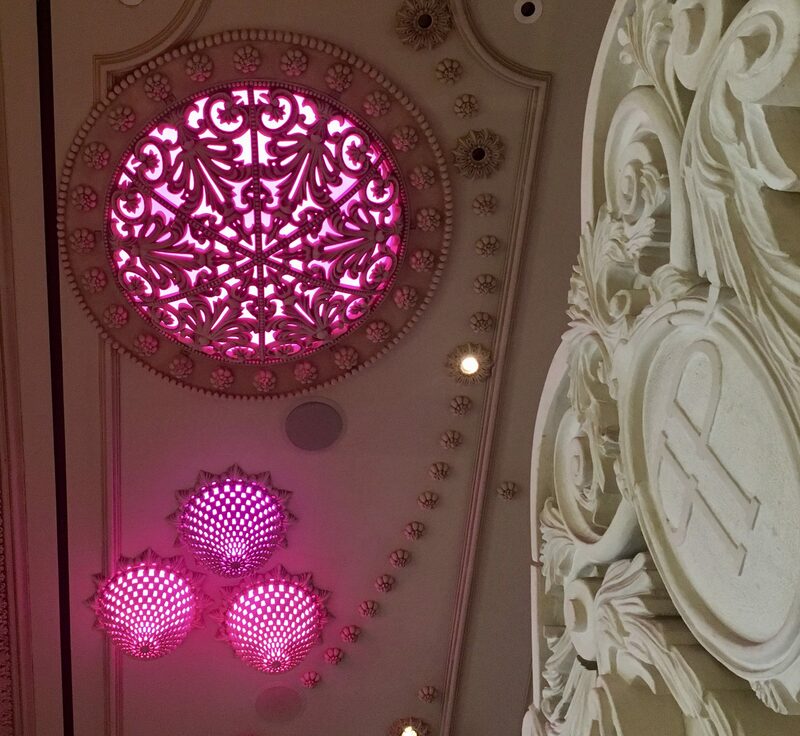 Pink Thing of The Day: Pink Ceiling Lighting at The Plaza Hotel Rose Club! 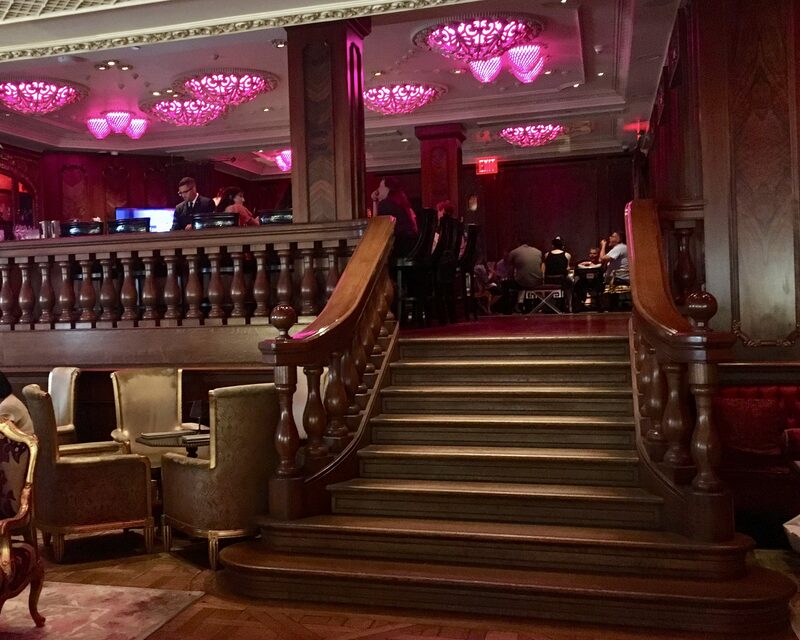 If you’ve got a spare $100 burning a hole in your picket, and have never had Afternoon Tea at The Plaza Hotel in Manhattan, then you need to check that off your bucket list, because the experience is sublime. 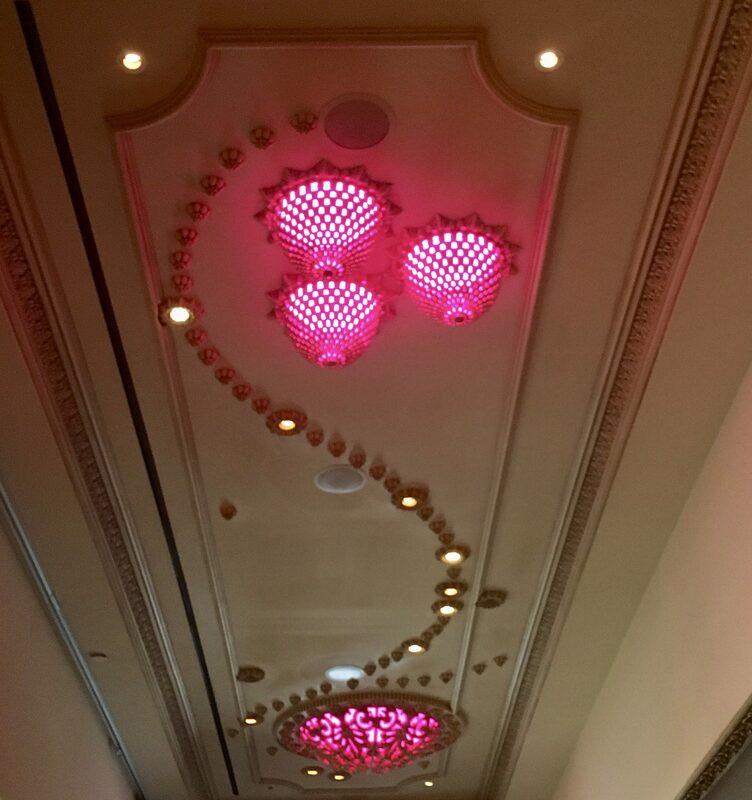 But if you find yourself at the Plaza for any reason at all, be sure to wander up to the Rose Club, which is the bar / jazz club on the mezzanine level just off the lobby, so you can check out the rad ceiling lighting! 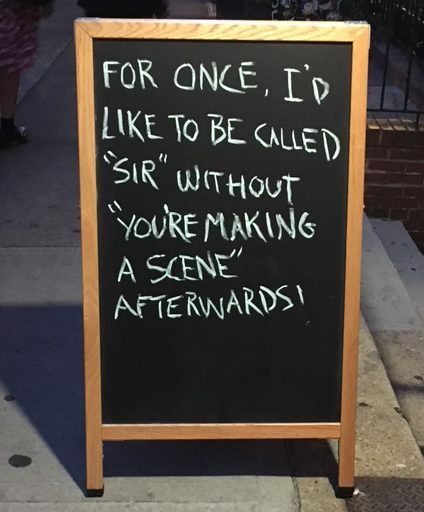 Maybe have a drink and a snack while you’re there, so you have more time to take in the ambiance. 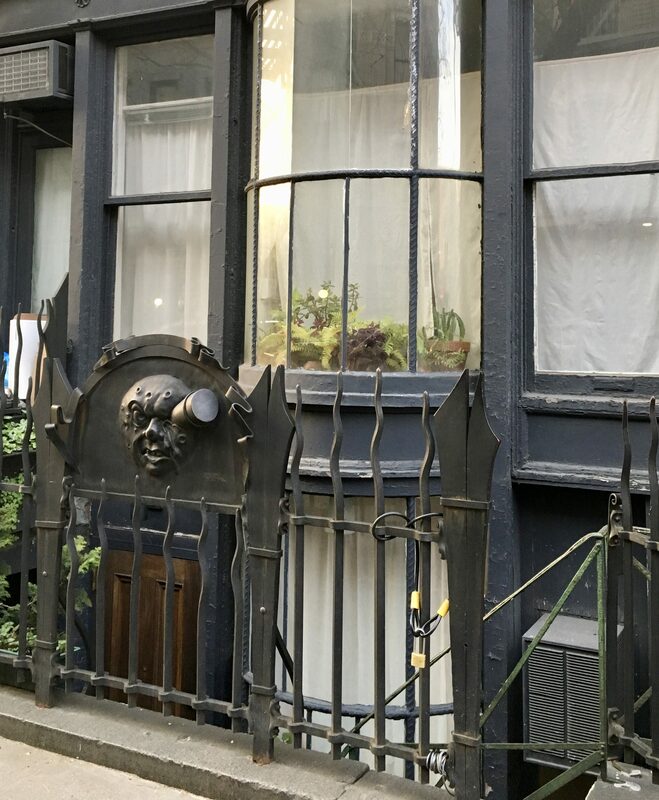 Photographed outside the Holiday Cocktail Lounge located at 75 St. Mark’s Place in NYC. 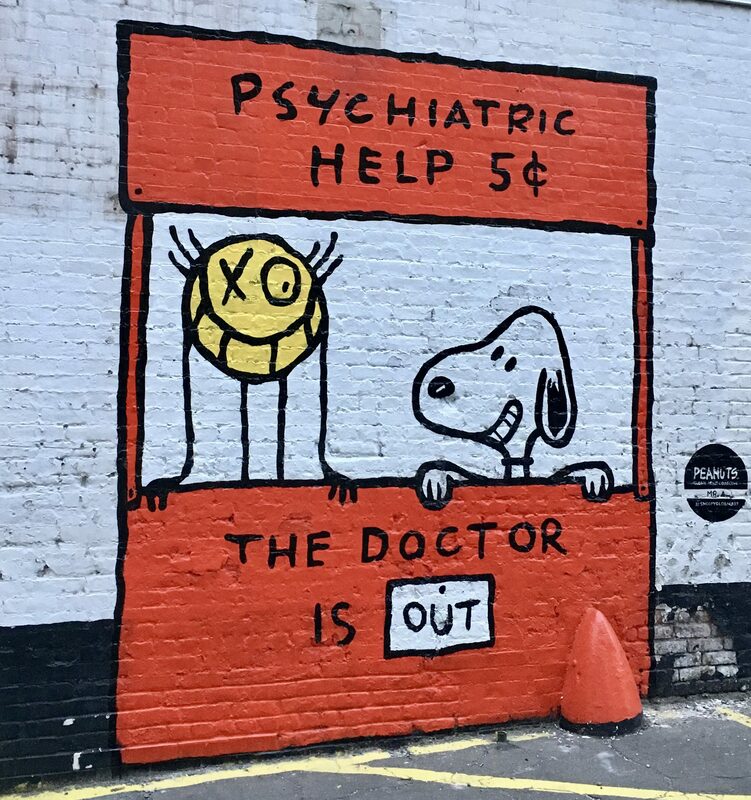 Swedish graffiti artist André (André Saraiva, AKA Monsieur André or Mr. A) revists a classic Peanuts comic strip scenario as Snoopy interacts with Saraiva’s signature stick-figure doodle, Mr. A, on the wall of a downtown parking lot. 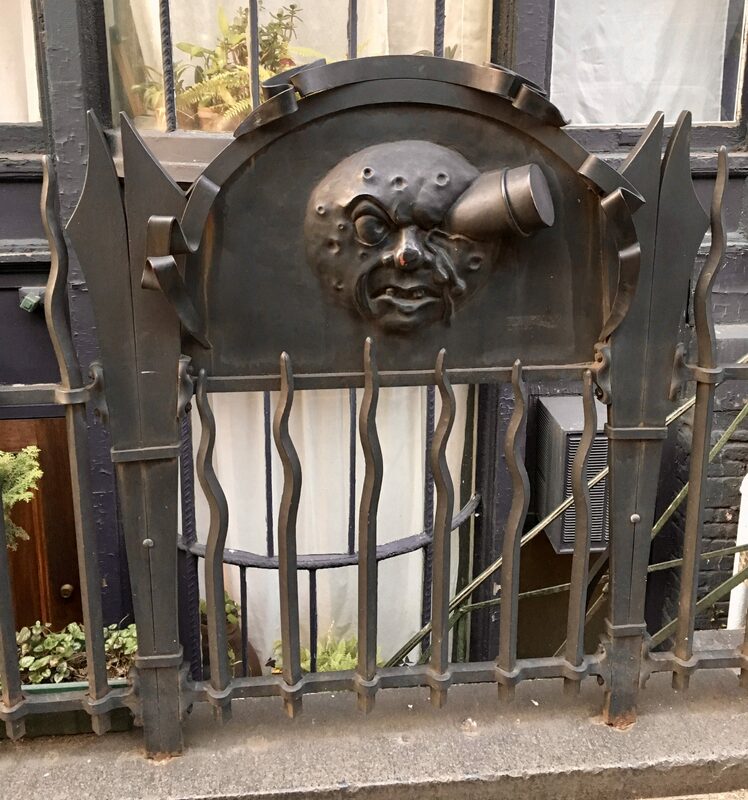 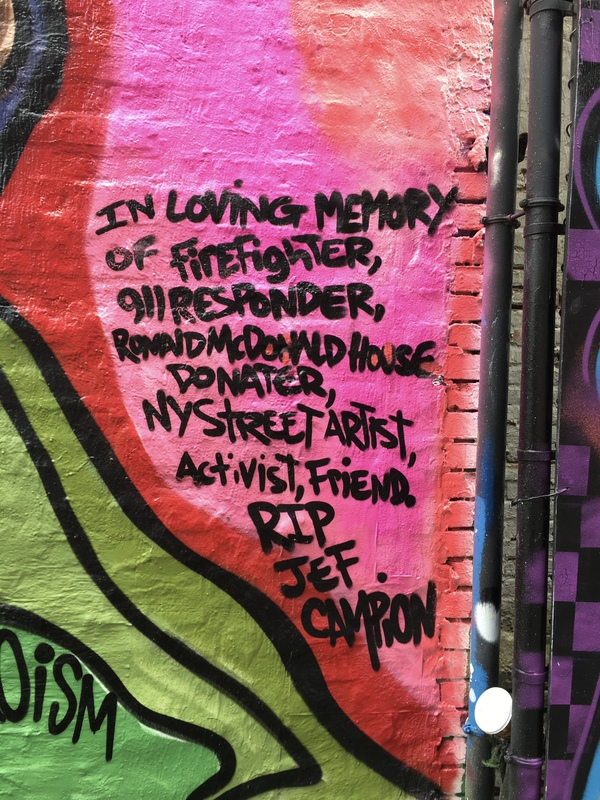 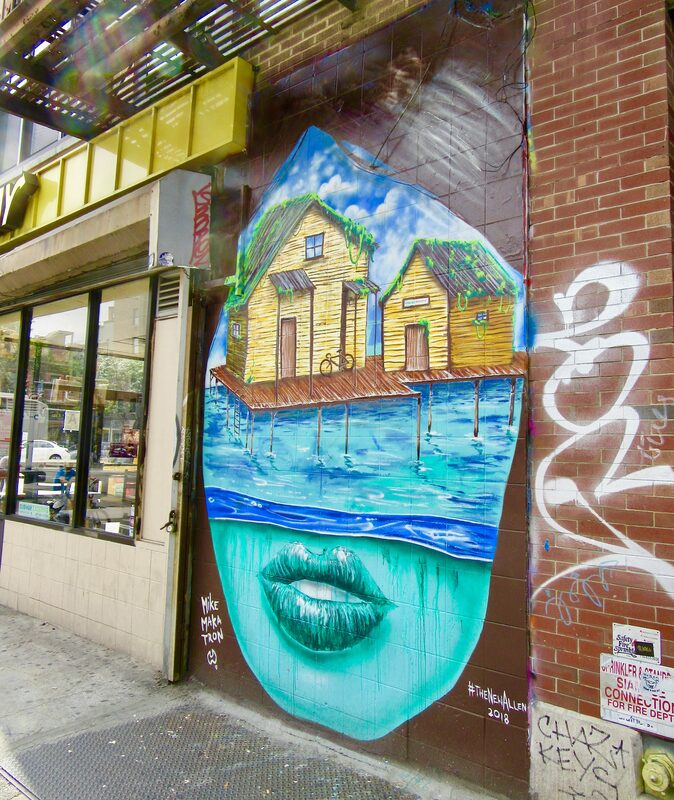 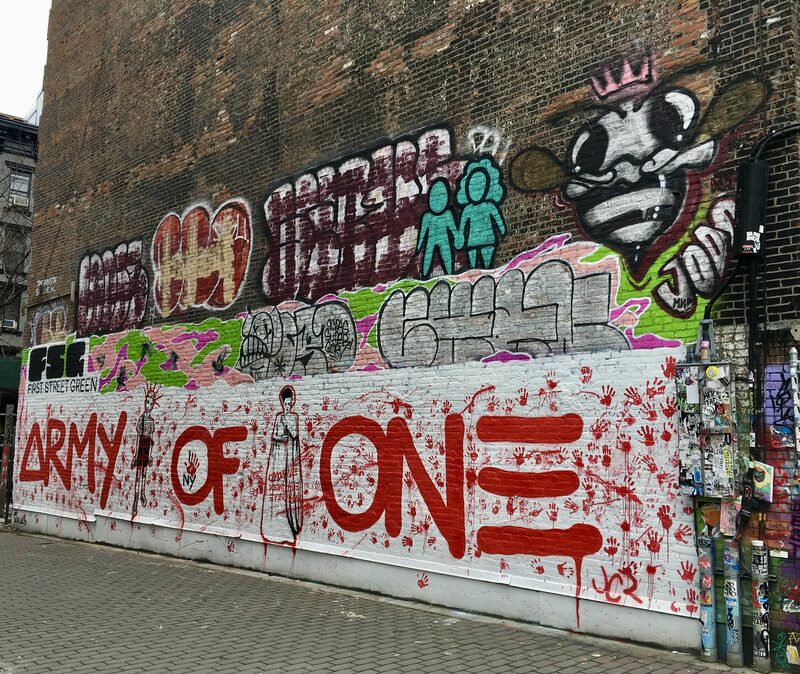 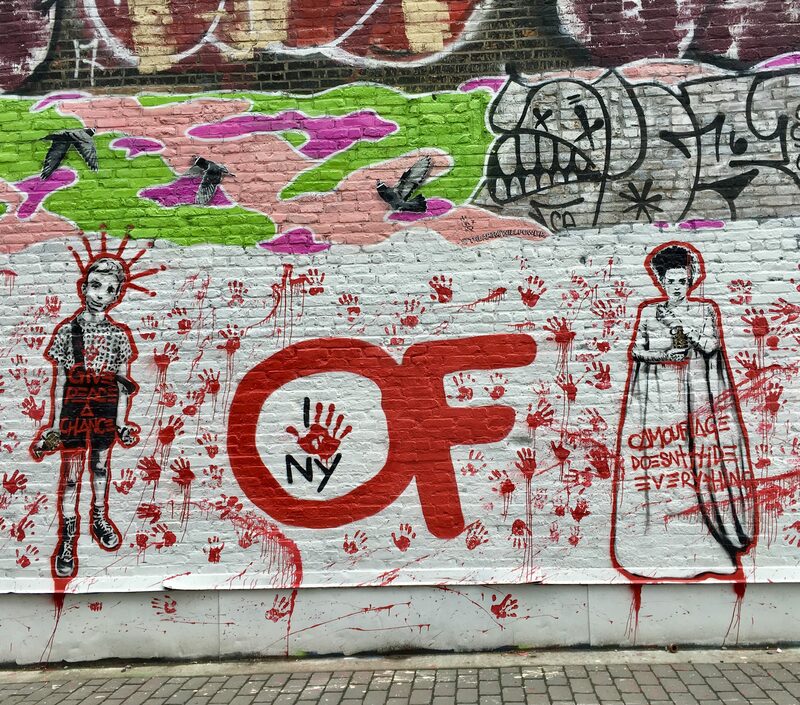 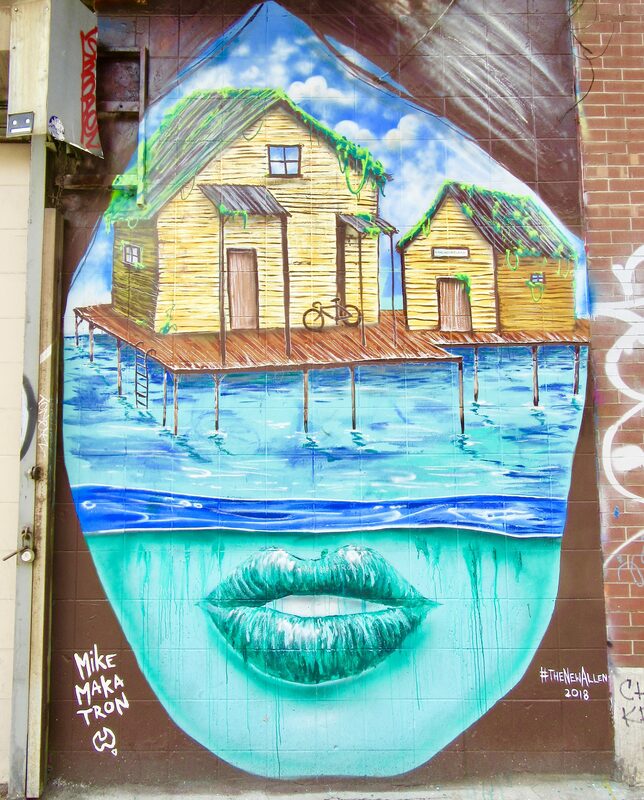 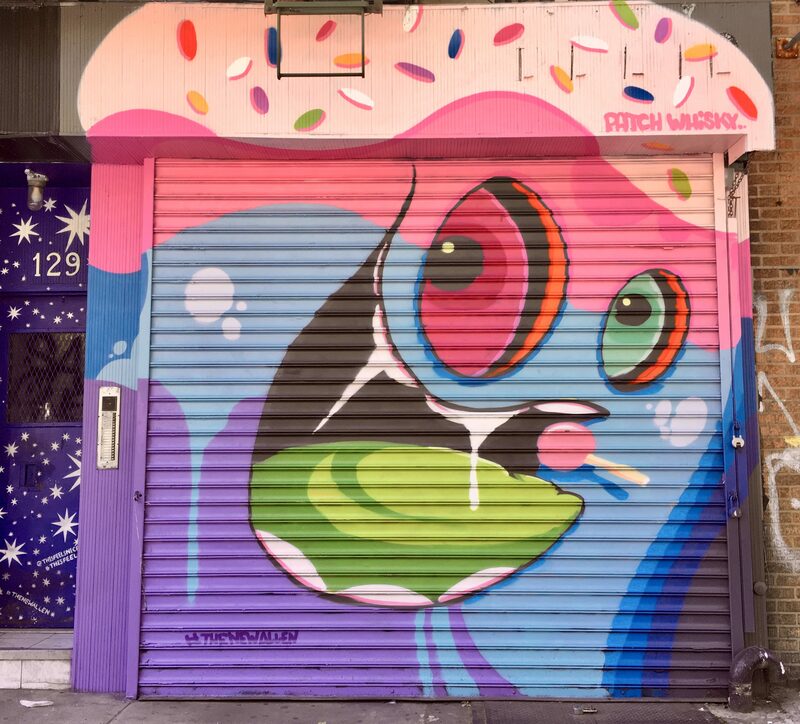 Part of The Peanuts Global Artist Collective, This Piece was Spotted at 304 Hudson Street at Spring Street in SoHo, NYC.